Lessons from the Lancet Global Health Commission Launch of the Kenya-Specific Report on High-Quality Health Systems in the Sustainable Development Goal Era. Jacaranda Health Chief Innovation Officer Sathy Rajeskharan wrote a blog depicting our challenges and lessons learned from using an AI chatbot to improve our SMS PROMPTS service. In the past few years, Kenyans have become more connected than ever before. Between 2000 and 2010, mobile phone penetration increased by 200 percent. This technological shift is creating a unique opportunity to harness technology as a way to influence behavioral change and fuel positive social impact. Every Mother’s Day, we celebrate the strong women who brought us into the world. At Jacaranda Health, it’s our job to support women on the journey through pregnancy and birth, making sure that mother and baby leave the hospital safe, healthy, and confident. Supported with a grant from the Pfizer Foundation, we’ve been implementing a Nurse Champion program that empowers public facility nurses to lead their teams in regularly scheduled simulation drills. In this article, we discuss the importance of measurement and evaluation in a healthcare setting, our process creating a clinical quality dashboard in a low-resource maternity hospital, and lessons learned during the creation, implementation, and evaluation of the dashboard. In their 'Celebrate Solutions' columns, Women Deliver is highlighting Jacaranda Health's efforts to change the way family planning decision-making happens in the postpartum period among low-income women in Kenya. Sahar Jamal’s MBA internship helped her achieve a “life-long dream” and embark on the most challenging and intellectually-stimulating work of her career. In this blog, she describes her work at Jacaranda Health. Anywhere in the world, nursing is a challenging profession. But in some resource-constrained settings, such as the sprawling peri-urban estate of Githurai just south of Jacaranda’s Kahawa West facility, the challenges are even greater. Can a community health worker administered postnatal checklist increase health-seeking behaviors and knowledge? Researchers from the Harvard School of Public Health and Jacaranda Health published a study evaluating the effects of low-cost postnatal care delivered by community health workers. On February 23rd and 24th, 2016, Helping Babies Breathe Kenya conducted a Master Trainer workshop at Jacaranda Health’s Kahawa West hospital. This allowed for a group of nurses to be certified HBB Master Trainers by the end of the two-day course. I am delighted to announce the launch of Jacaranda Health’s second annual impact report. 2016 was a tremendous period of growth and achievement, as we have focused on scaling what truly works best to improve health outcomes for newborns and mothers in East Africa. 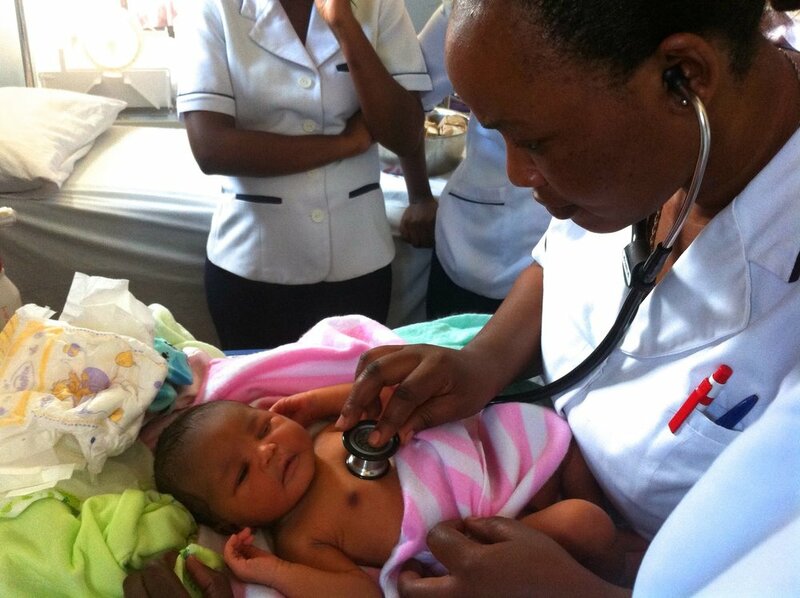 Jacaranda Health entered the field of maternal healthcare in East Africa with a challenge: How do we provide high-quality care to low-income women while building a business that’s financially sustainable? On any given day, you can find him with a big smile on his face while he maintains the ambulance, talks with customers, or heads out to an emergency. Like most of our employees, John goes above and beyond his job description to provide clients the best experience possible.